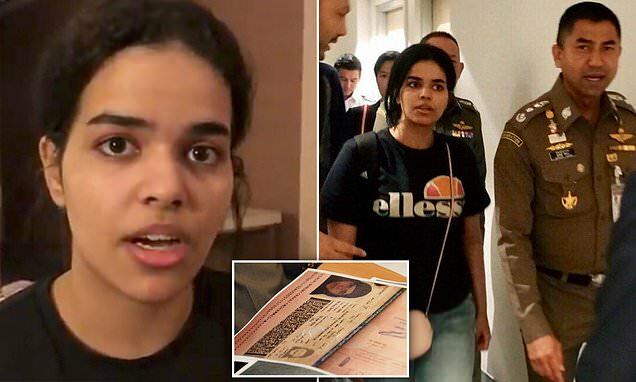 The United Nations has ruled the Saudi teenager who fled her home country over fears she'd be killed for renouncing Islam is a refugee. On Wednesday, the Australian Department of Home Affairs revealed that it will consider the 18-year-old's referral from the UN. She is currently in the care of UN officials after claiming her family would kill her if she were sent home to Saudi Arabia, where she has renounced Islam and 'rebelled' against her father. 'We've been successful in getting them to agree to do that,' Mr Hunt told ABC TV on Wednesday.